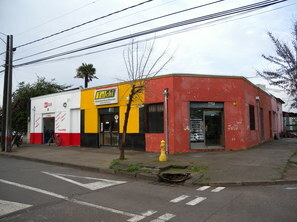 A building, usually located on a street corner, with adjoining or attached buildings on two sides. 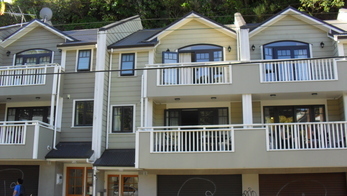 This includes mid-terrace buildings, buildings which are a part of the row of at least three buildings, or corner buildings with adjoining buildings on two perpendicular sides. 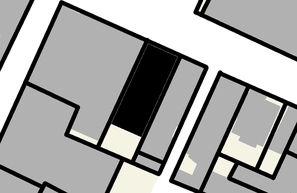 Example 1: the building shown in black in this plan is located within a block and it has adjoining buildings on two sides. 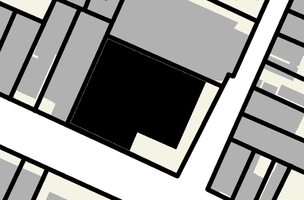 Example 2: the building shown in black in this plan view is located on a corner and has adjoining buildings on two perpendicular sides. 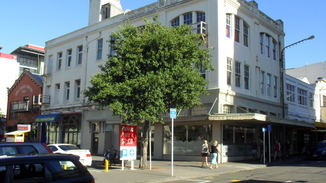 A corner building with adjoining buildings on two perpendicular sides, New Zealand (L. Allen). 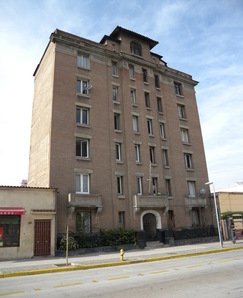 A corner building with adjoining buildings on two perpendicular sides, Talca, Chile (S. Brzev).